How do we argue a point that is based on science? Learn how to find evidence and convince others that arguments are hard to lose with evidence. Course DescriptionWe will draw from the IPCC 4th Assessment Report (AR4) that was published in 2007 and won the Nobel Peace Prize in 2007. 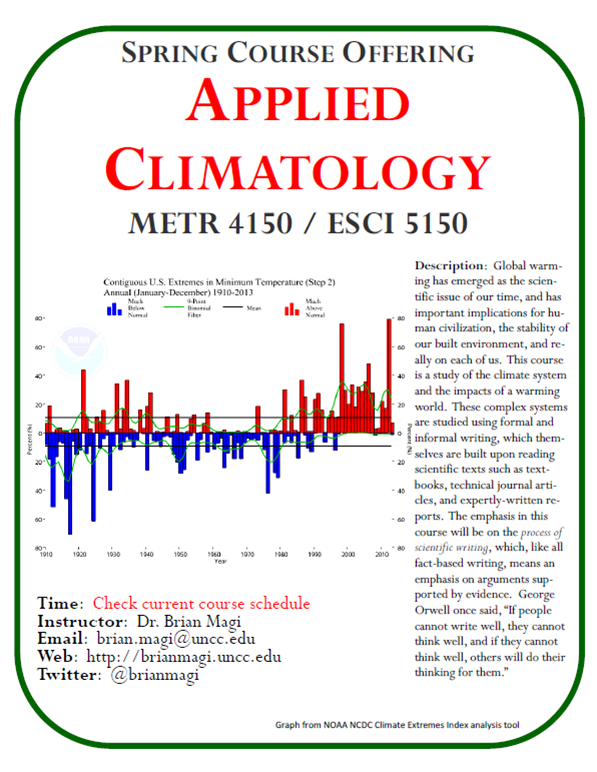 AR4 summarizes the state of climate science and global warming as of 2005. It was divided into three overarching “Working Groups” that produced three corresponding Working Group (WG) reports. WG1 wrote Climate Change 2007: The Physical Basis, WG2 wrote Climate Change 2007: Impacts, Adaptation, and Vulnerability, and WG3 produced Climate Change 2007: Mitigation of Climate Change. Together, the 3000 pages of WG reports make up AR4. It would not be possible, or even useful, to read all this material in a semester, but we will delve into aspects and nuances of the science summarized in the reports, and you will draw from the literature cited in AR4 and from more current (2005-2012) research to produce a written literature synthesis. The emphasis in the course will be on the process of writing as it relates to the physical science of climate and climate change. 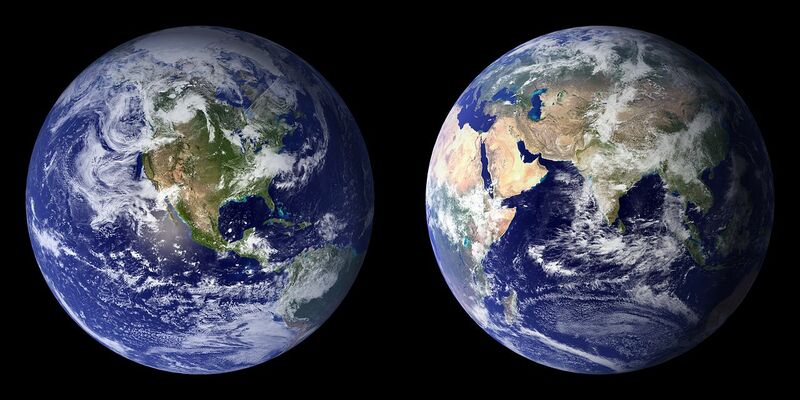 We have one Earth. Let’s argue in support of it.